XLYNE SIONA XW FIT – The sporty smartwatch! 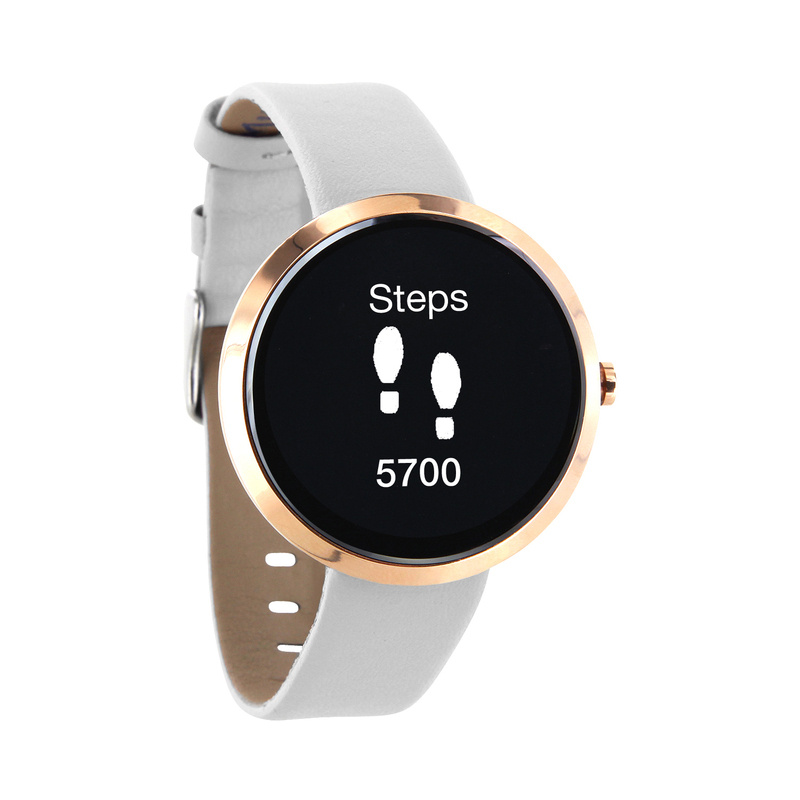 The Lady Fitness Tracker combines fashionable and sporty design with great features. This tracker allows you to pursue your fitness goals in every situation. Bright and sharp OLED display combined with an intuitive handling with the Smart-Button. Easy set up and synchronization with the free smartphone app for Android (4.3 or higher) and iOS (8.0 or higher). Compatible with Android and iOS smartphones. Bluetooth 4.0 or higher. USB charging cable and English quick start guide. SIONA XW FIT – The sporty smartwatch is currently available in two trend clolors. Pure Polar White and Light Rose Gold. Both setting new standards in design – The most fashionable Fitness Tracker our time.